Yay! It's July (Well, technically, it's still about fifty minutes to July). Thankful. Anyway, so I thought about starting a 'journey' this past weekend. It's a peculiar one, not because it's not a good idea but because people would hardly think about it. I decided to go one full week without getting angry. Whaaattttt???! I know! It seemed impossible when I thought about it too. I remember listening to a guest Pastor recently, who spoke about the power of anger and offenses; how it eats us up and continues to build up. 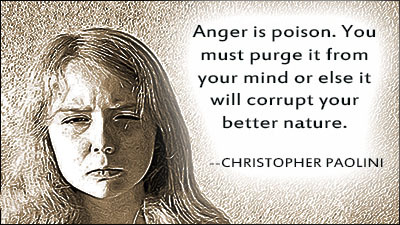 I know the Bible also says a lot about anger and strife and the potential dangers. Now, I don't know how humanly possible it is to NEVER get angry forever and ever. uhn uhn. I do know though, that we have much more control over our emotions than we think. Hence, I decided to go a week without getting angry. If at any point during the week, I lose control and get angry, the journey would be extended by another week. ummph. I'm blogging about it, so that I can be more accountable to you, my readers (Thank you guys, by the way for always reading!) and to myself. In case you decided to start this task also, here's the deal; it's not that you won't get angry, you probably will. However, the important thing is what you do with that anger. Do you let it consume you or do you control it, and move on CHEERFULLY? I must state that I do NOT have an anger problem of any kind, not even a temper problem. Although, I could get pretty pissed off sometimes. Lol. This journey is all encompassing, so even complete strangers will have no control over my emotion. You would think I had announced this before with the amount of temptations that came. ugh. I have had to ignore some instant messages on my Blackberry Messenger today, just because I AM ON A JOURNEY. DON'T TEMPT ME. Lol. Sigh. Honestly, you'd be surprised at the endless possibilities of you getting really angry. Take a deep breath, relax and smile. So, yes my journey has begun. I'll be back with results. Have an exceedingly great July and remember to stay positive. AS USUAL; IMAGES ARE NOT MINE. I TAKE NO CREDIT FOR THEM. I like that you say, it's not that you won't get angry, you probably will. However, the important thing is what you do with that anger. Since you love to read, download this: Details on twitter @omoyemi1O1A1Ojo . I will! Surprisingly, it's been easier than I thought.